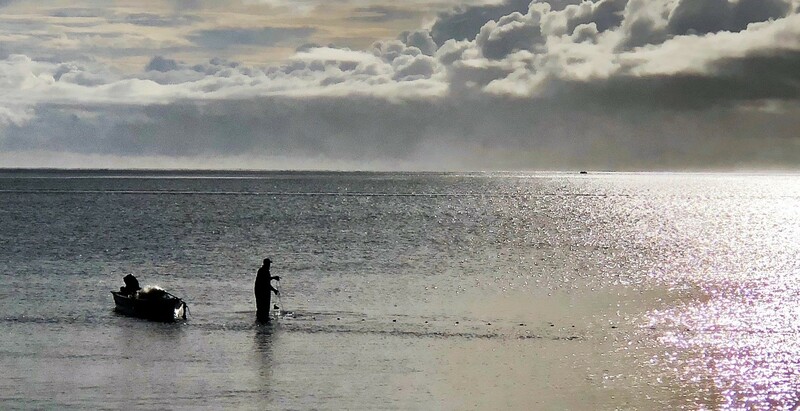 Fiji fisheries law: When is fishing activity illegal in Fiji's nearshore waters? 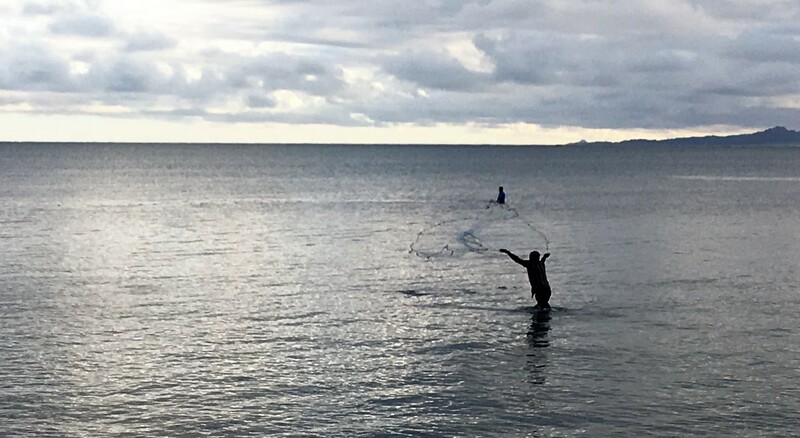 Fishing in nearshore waters in Fiji is a common activity, however, it is not always easy to tell when that activity is lawful or unlawful. regulates other factors including the minimum size of the fish that may be legally caught and when a fishing licence is required. In this bulletin we consider the fisheries legislation that is applied to nearshore waters and how it applies to different types of nearshore fishing activity with the aim of better explaining what could constitute illegal fishing activity in nearshore fishing waters. 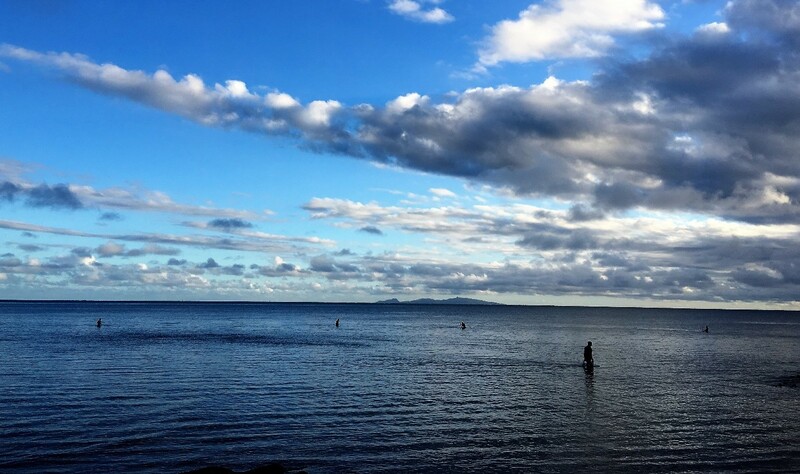 Please note this legal bulletin is prepared on the basis of the Fisheries Act, 1941 and the Fisheries Regulations as they are at the present time, and we are aware that the Ministry of Fisheries is reviewing this legislation with a view to updating it to better manage Fiji's important fisheries resources. 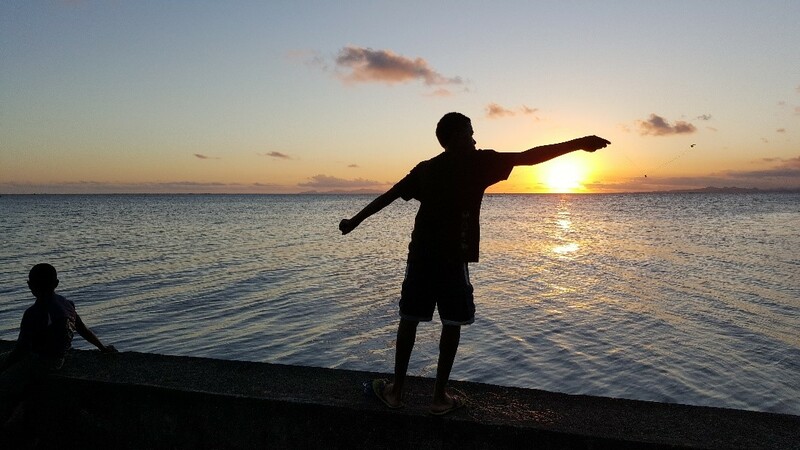 A walk along Suva’s seawall in the early morning or early evening will provide stunning views of mangroves, ocean, fringing reef, nearby islands, mountains, sun rises or sunsets as well as nearshore fishing activity. This fishing activity may or may not be legal and it is not always easy to tell. The size of the fish that is caught because some fish are only legally caught if they exceed a minimum size as set out in the Fisheries Act/Regulations. Different Acts/legislation applies to or regulates nearshore fishing activity but the main legislation is the Fisheries Act, 1941 and the Endangered Species Act. The Fisheries Act, 1941 is an old piece of legislation and can contribute to confusion regarding what is legal and what is illegal fishing activity in nearshore waters. Nearshore fishing takes place in traditional fishing grounds/qoliqoli areas. Qoliqoli areas are mapped and registered to a collection of iTaukei landowning groups (mataqali) which together form a Yavusa. Members of the Yavusa all have subsistence fishing rights in their qoliqoli areas that are recognised by the Fisheries Act with the result, amongst other things, that the Yavusa or its representative must be consulted before any commercial fishing licence is granted in “their” qoliqoli area. Below we set out a graphic explaining this process. 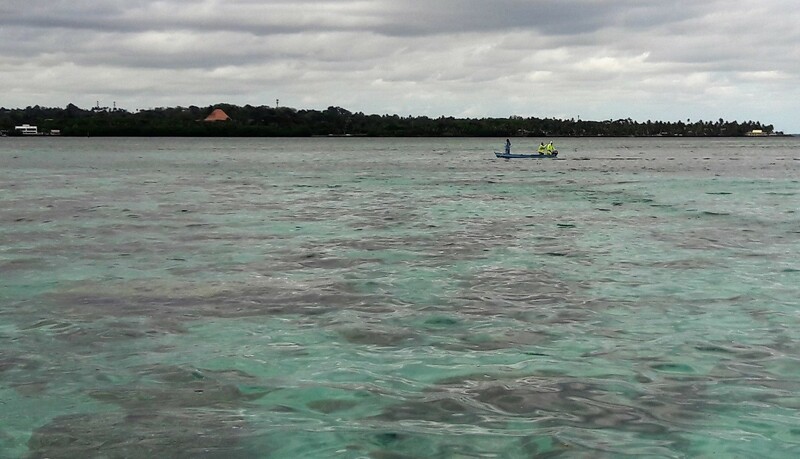 We consider each of the factors in turn in the hope of assisting the determination of what fishing activity in nearshore waters is legal and what is illegal. Fishing for commercial purposes in nearshore areas requires a licence regardless of who is undertaking the fishing activity or what is being caught. Commercial fishing without a licence in a nearshore area is a criminal offence, with the offender being liable upon conviction to imprisonment for three months and/or a fine of five hundred dollars. a portable fish trap that can be operated by one person. If the commercial fishing activity involves any other sort of fishing activity then any person, including the traditional fishing rights holders from the applicable Yavusa, must obtain a commercial fishing licence and this involves following a process set out in the Fisheries Act, 1941 that culminates in the payment for a commercial licence for only that fishing ground (qoliqoli). 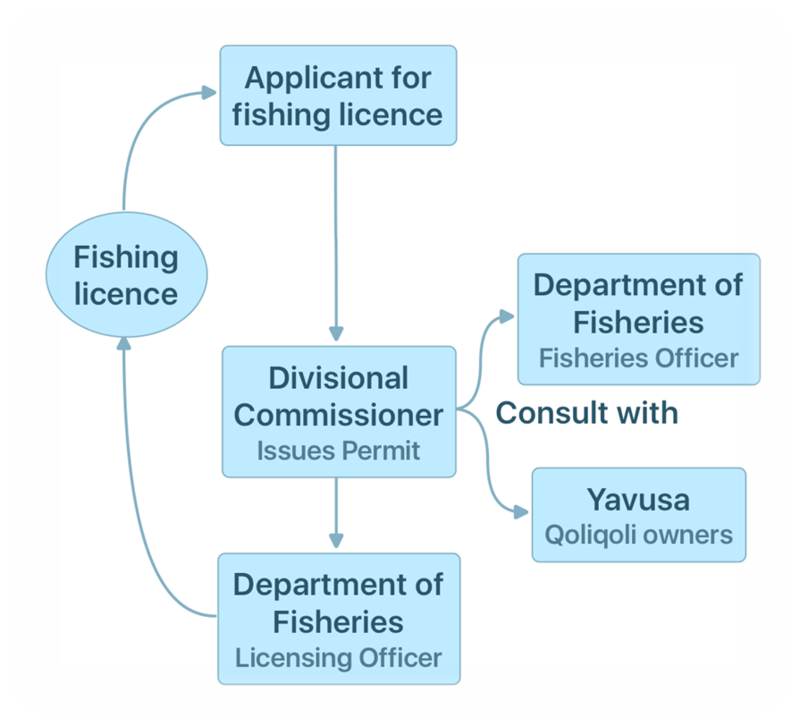 It should also be noted that as part of that process the applicable Yavusa or its representative must be consulted and the licence fee structure/access fee is currently under review by the Ministry of Fisheries. A graphic at the end of this article illustrates this process. Further the commercial fishing licence may or will be subject to conditions that will be noted on the commercial fishing licence. 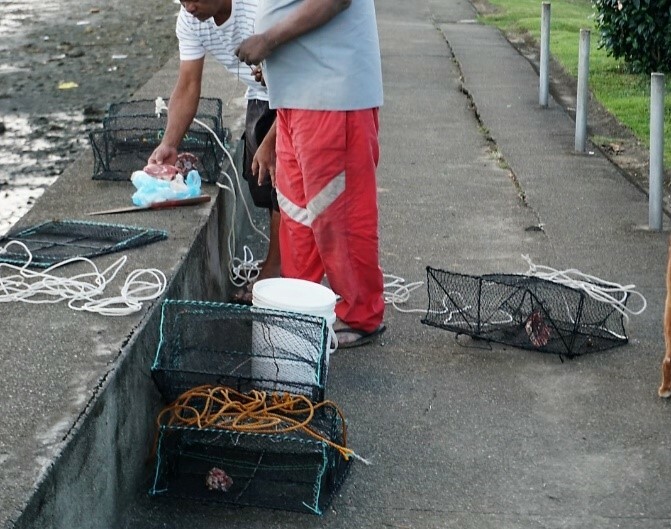 The Minister of Fisheries is also empowered by the Fisheries Act to make Fisheries Regulations pursuant to section 9 that can, amongst other things, declare certain areas where fishing activity is illegal or restricted. 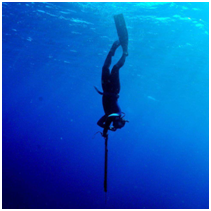 These are known as Marine Reserves and once the Regulations for the Marine Reserve are brought into force otherwise legal fishing activity may become illegal fishing activity. We address these laws and regulations that have universal application below. 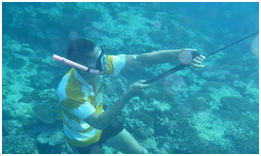 Use of UBA (underwater breathing apparatus) (banned by Fisheries Regulation pursuant to section 9 of the Fisheries Act). Hand net – refers to a net fixed on a frame or on two poles which can be moved in all directions by one person. While its maximum width should not exceed 1.5m, there is no restriction as to mesh size. Cast nets – refers to a round net with weights attached to it in such a way that it sinks to the bottom as it is cast over the fish. The mesh size must not be less than 30mm. Nets used solely for sardines and whitebait - must not be joined together and may not have a mesh size less than 30mm. Also, their overall dimensions must not exceed 10.5m along the cork line and 1.5m from the cork line to the ground rope. Gill nets – must be obtained from the Fisheries Division with mesh size not less than 30mm and may only be used for catching garfish. Wading net – refers to a net fixed on a frame or on two poles and can be moved in all directions by two persons. Its maximum width should not exceed 4.3m while the mesh size must not be less than 75mm. All other nets not specifically mentioned in the Fisheries Act Regulations - the mesh must not be of a size less than 75mm. In terms of the use of nets there is a grey area in terms of what length of net is permissible. It is not uncommon to see long nets being let out that may stretch for hundreds of metres, but in terms of the law, nets are only limited to 10.5m for nets used to catch sardines and whitebait. Further as set out above, only hand nets and wading nets have set dimensions. We cannot, therefore, say for sure that nets longer than 10.5 metres used in nearshore areas are illegal if they are not being used to catch sardines and whitebait. Sometimes, fishing takes place at the river mouth or in the sea within 100m of the river mouth. 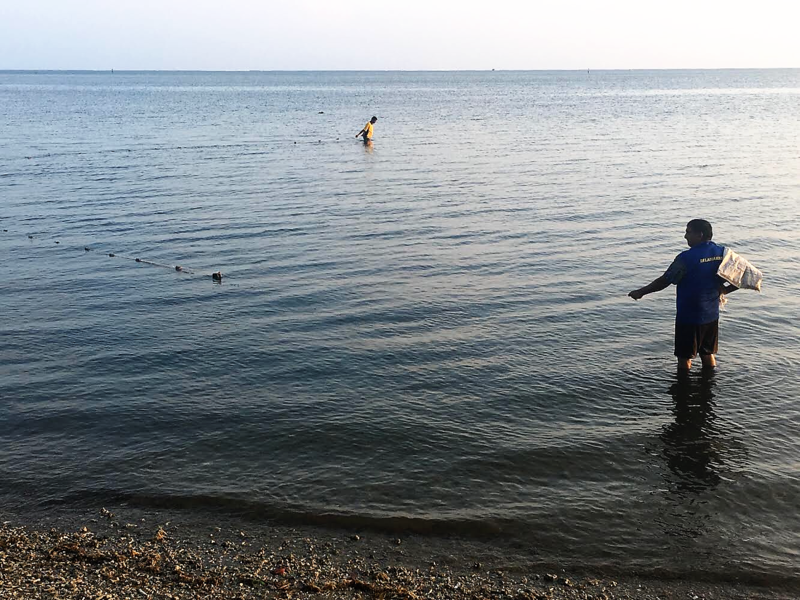 The usage of certain nets in those areas may hinder the migratory movements of fish and for that reason, the usage of all nets apart from hand nets, wading nets and cast nets is prohibited. Apart from the fishing methods previously mentioned, the use of fish fences is also regulated according to the materials used in their construction. For instance, if the fish fence comprises of cane or reed screens, the section at the inmost point in each terminal trap or pan must not be less than 1m in length and of the full height of the fence, wherein the cane or reeds placed must not be less than 50mm apart. If netting or cord, galvanised wire or expanded metal is used instead, its mesh must not be less than 50mm across the smallest diameter. Where the fences are made entirely out of wire netting or expanded metal, the mesh of the netting in the traps or pans must not measure less than 50mm along the shortest diameter. 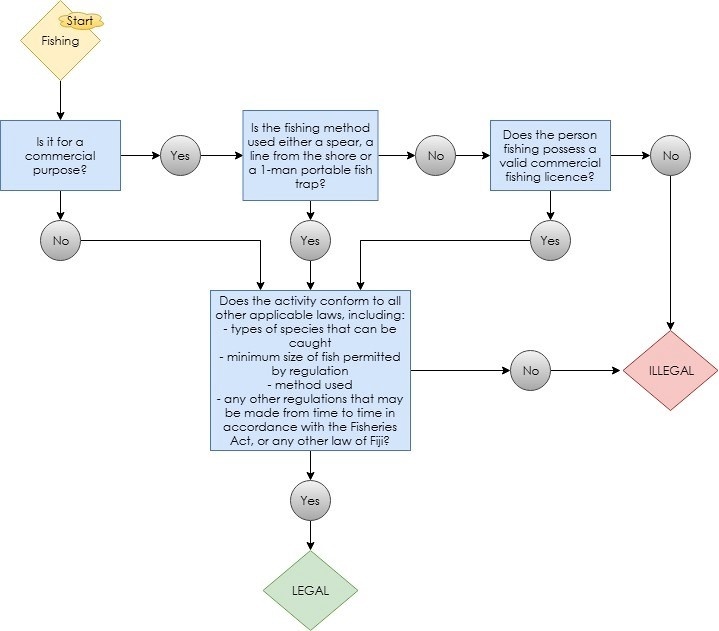 For the survival of certain species that are endangered, it is necessary to regulate fishing activities regardless of whether fishing is for commercial or subsistence purposes. Bans can be implemented for certain species via Regulations made pursuant to section 9 of the Fisheries Act. The Endangered and Protected Species Act 2002 includes a list of fish species, amongst other things, which are threatened with extinction or are likely to become extinct if its trade is left unregulated. Anyone who possesses, offers, or exposes for sale any of the listed species commits an offence and is liable upon conviction to a fine of five thousand dollars or to two years imprisonment. Parrotfish or ulavi – 250mm measured from the point of the snout to the middle of the tail fin when the fish is laid flat. These size limits apply to both commercial and subsistence fishing, except where the fish is caught by children under sixteen years of age for non-commercial purposes using a hook and line from the shore or wading near the shore. Failure to comply with the prescribed size limits is an offence incurring a penalty of imprisonment for three months and/or a fine of five hundred dollars. 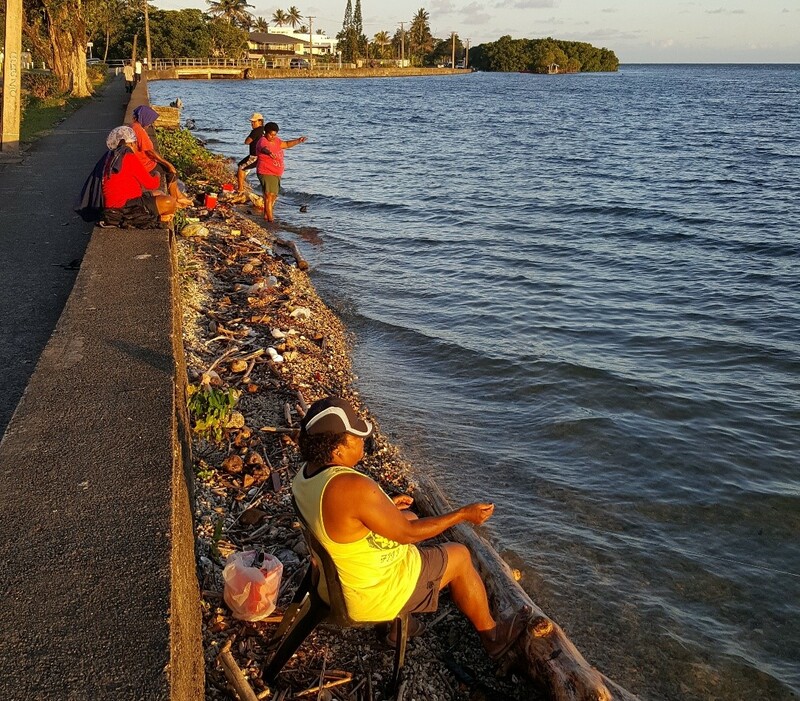 The volume of production from the coastal commercial fisheries of Fiji is almost twice as much as that of PNG, despite PNG having a population almost nine times greater than Fiji. 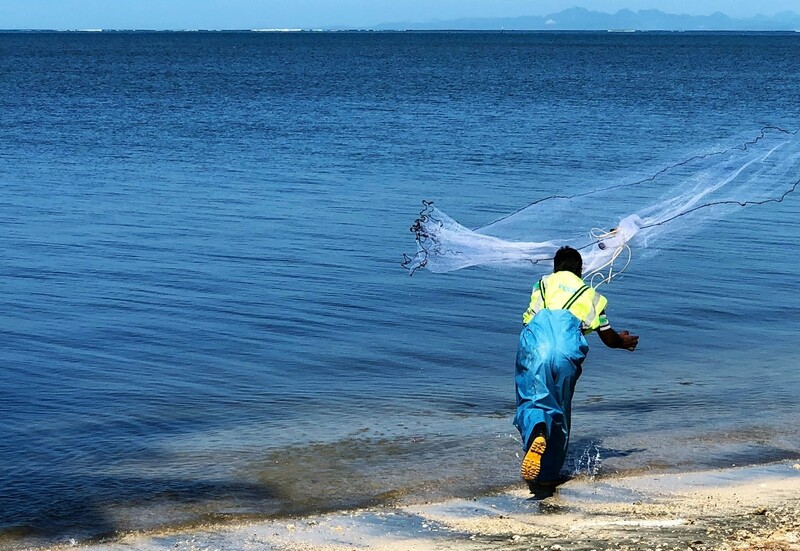 As surprising as that may be, it highlights the pressure that Fiji’s nearshore fisheries is under and good regulation of fishing activity is important now and for the future of Fiji's fisheries and food security. Good regulation also requires the difficult task of enforcement of the laws and regulations related to fishing activity and for this to work requires collaboration between relevant government agencies including, but not limited to: the police, Ministry of Fisheries, and the office of the Director of Public Prosecutions. Question mark over the use of more than one portable fish trap. If a wading net - which refers to a net fixed on a frame or on two poles and can be moved in all directions by two persons. Its maximum width should not exceed 4.3m while the mesh size must not be less than 75mm. Nets to catch sardines or whitebait are not legal if longer than 10.5m. The last photo (black and white) illustrates a net being used that was at least 100m long. Whether it is legal or illegal fishing will depend on the fish being caught/targetted. Gillett, R. (2016). Fisheries in the economies of Pacific Island countries and territories. Noumea: The Pacific Community, p.538. This legal bulletin is provided for general information purposes only and it is not, and should not be relied on as, legal advice.